Luigi's fireball does not go invisible/change colors after Luigi leaves the screen. Cannot be interrupted during his Level 3 if it connects. Pit standing summon attack takes the correct amount of power now. 70 PEPOLES TO EXCHANGE BLOWS WITH! Thank you and have nice day! Oh hey, a video on Bomberman's moveset! -Team modes, watch modes, survival moves have been brought back. 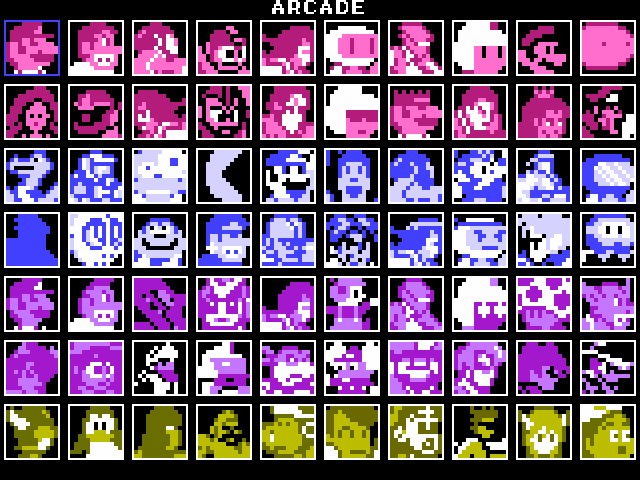 -Ryu and Bomberman have been added; Bomberman's stage has been added. -Basic attack knockbacks have been altered, light basics in general have been slowed down. -Raccoon Tail travels slower but Mario moves the instant he preforms it. -Metal Blade (Ground version) doesn't knock the opponent up so high. Hello 72 dpiarmy! 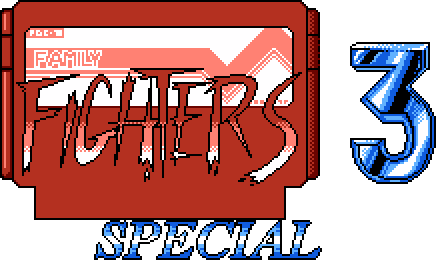 My new version of the Famicom fighter for you! It is in the original such a huge step forward! We provide you with more fighting warrior! We have completely redone graphics! We have also improved the overall wrestling system! Please enjoy the fight experience! 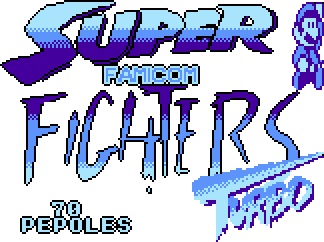 -Game now uses a consistent NES palette (with a combination of Nesticle's and Nestopia's YUV colors). 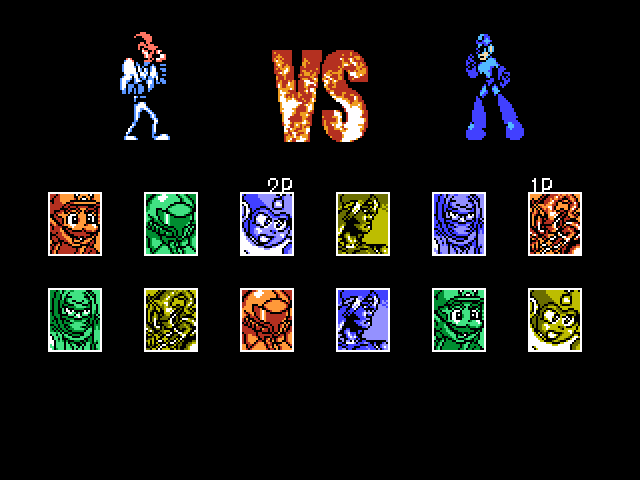 Originally, the colors were a bit all over the place and were used from different interpretations of the NES palette. --In order to summon a helper, all you need now is helper meter. The cooldown bar has been reworked into a normal helper meter bar. Helper meter charges similarly to the power meter. (Which also means EX/Super moves will not grant you helper meter) Different summons will vary on hwo much helper meter they take. --The amount of hits helpers will take vary between each helper instead of a consistent 3 hit points. --Select + b will switch chararcters during a super. The switch will occur REGARDLESS of who is on screen. --A+B will let you call out for a switch for your partner. Your partner will then switch when they believe it's safe. --Your partner will not preform any switches unless you force one or call for one. -After the intros finish, there's a 3 second countdown for choosing your helper. -Fixed an issue where super attacks would count toward the damage dampener. -New move: Flame Launch and Hammer Toss (EX version) - B, DB, D, DF, F, a (or a+b). --Flame Launcher lets Mario charge up a bigger fireball and then slam it on the ground, making it rise up-forwards. 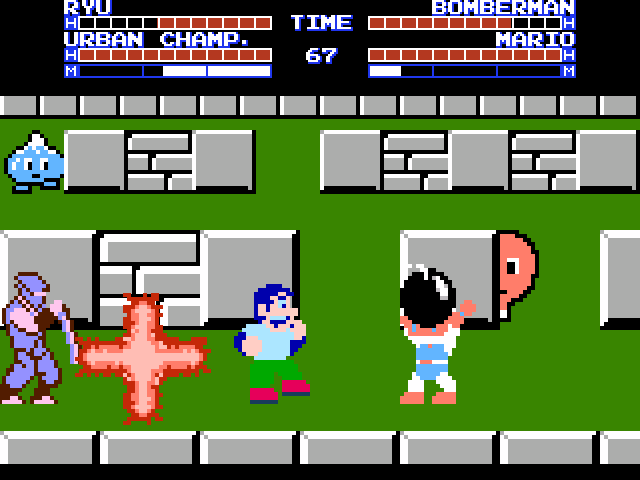 ---Hammer Toss has Mario tossing a hammer which arcs back down. -High Kick launches aired opponents higher. -EX Stomp results in Mario using a Kuribo Shoe. -Ultimate POWer is different animation-wise. -Luigi goes down in two hits but will shrink after the first hit. -Kirby's inhale will cause him to actually catch the opponent in his mouth and spit him out as a star. When the opponent hits the wall, they turn back and bounce off. -Link can take 5 hits before going down. -The punch preformed during Dodge does not knock down, leaving Urban Champ closer to the opponent. -The dash during the dodge is now Urban Champion preforming a spin and throwing a punch. -Scapegoat has a special animation if the police car defeats the opponent. -Urban Champion (2P) can take five hits before going down. --Maru Mari has Samus roll forwards or backwards. This can let her dodge high attacks and projectiles. --Knee Smash is Samus's old air light kick but she launches farther. 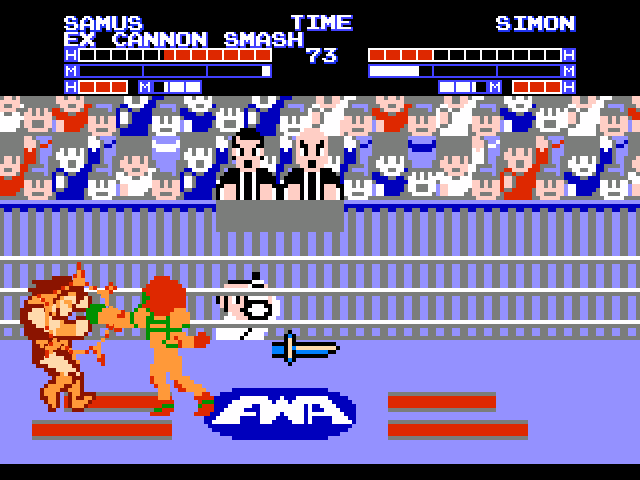 --Cannon Smash has Samus do a dash forward and swing her cannon at the opponent. This knocks down but is only safe at max ranges. The button pressed determines how far she goes. ---EX version travels farther, projectile invulnerability, and Samus can hit mid-dash. -Strong Punch when chaining is a normal hook which lets Samus hit lower. --EX version shoots the high freeze beam by default. If you hold down while pressing a+b, Samus will preform the low version. -Takamaru can take four hits before going down. --Old strong hard kick but with bit more range but doesn't hit nearly as high. 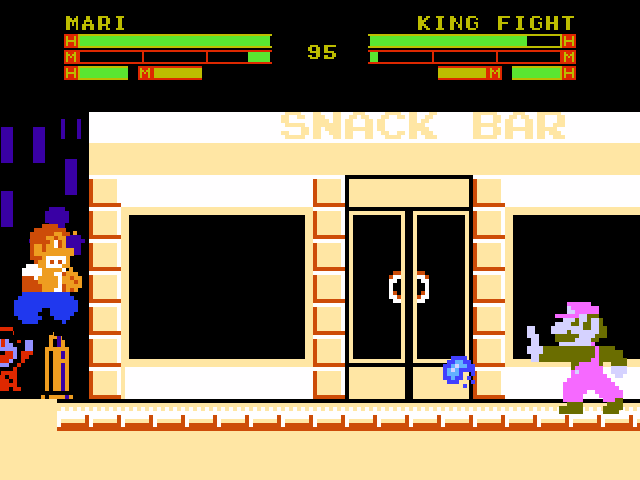 -Standing Strong Punch and Air Strong Punch (in a chain) use different animations. -Forward + kick has Mega Man jump and preform a top spin. -Rushdown has less shots being fired about before the final charge shot. -Protoman can take five hits before going down. -Firebrand can take four hits before going down. -Buffering charge moves has been redone; Spawn of Death should be easier to preform. 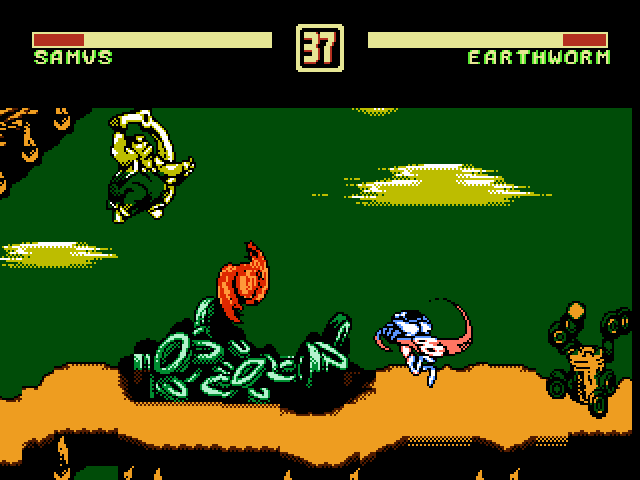 -Medusa's Wrath uses a new animation but also has a longer startup before the Medusa heads appear. -Spawn of Death uses a new animation. -Skeleton will spawn where Simon is and not behind the wall Simon is facing away from. -Getsu Fuma takes five hits before going down. -EX Bombs Away throws a high bomb close and a low bomb farther by default. Holding down before pressing a+b switches the bombs around. -Lode Runner takes two hits before going down. -Black Bomberman takes four hits before going down. -EX Jump and Slash will do a high jump by default. Holding forwards while pressing a+b will make Ryu jump forward with projectile invincibility instead. -Fixed an issue with the AI where they will stick to the wall. -Mighty Bomb Jack takes four hits before going down. OMG, I may have been pronouncing your name incorrectly all my life. Is it King "peep" or King "peh pay"
It's pronounced "peh pay" btw. 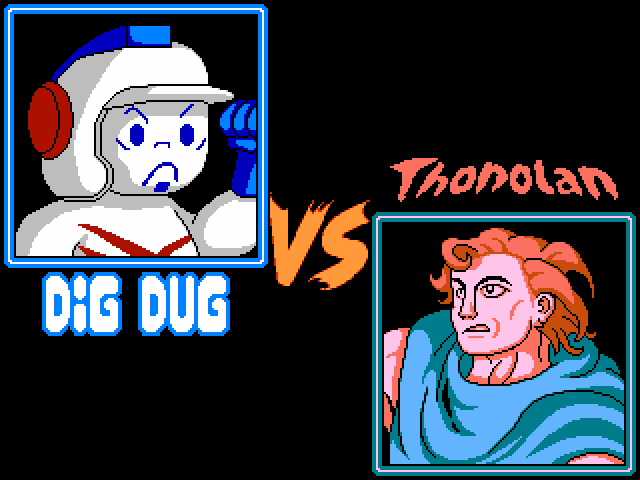 -Dig Dug has finally been added. -All special moves can be done by pressing punch or kick now. Some moves got new variations because of this. -Fireball: Kick variant has Mario throw a fake fireball out. --Punch: Travels shorter and is safer but does less damage. In the air, it's the same as the default. --Kick: On ground, it's the same as default but the air version travels farther. -Some new sound effects were added to his special moves. -Rising Upper: Punch version is similar to the default but it has a more shoryuken-ish motion and a bit less range. 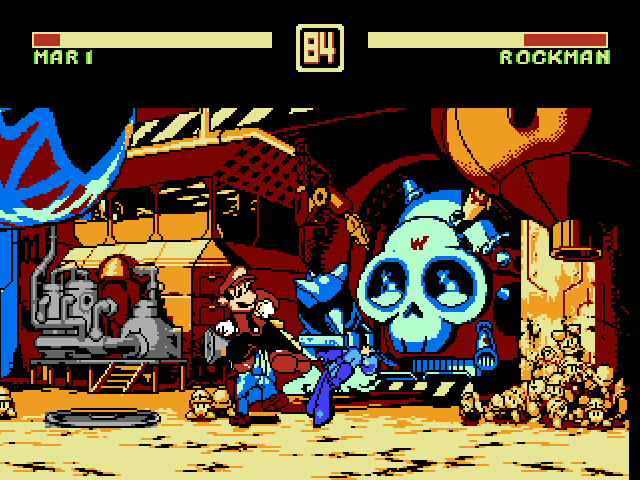 Kick version has slide forward and then do a straight-up uppercut. -Fistful Fury (New command: Forward, Down-Forward, Down, Down-Back, Back, Punch): Punch version is the same as default but does not knock down. Kick version does more damage and knocks down but can't be super cancelled and is more unsafe. -Screw Attack: Punch version travels less distance, jumps shorter and does only 3 hits. -Charged Shot: Kick version has Mega Man walk forward for a bit and then unleash a shot. Can't be comboed into but can still be super cancelled out of. -Charge Kick: Punch version doesn't travel as far. -Dagger Toss: Kick version has a delay on the start-up and a slightly shorter recovery time. Can't be comboed into but can still be super cancelled. -Backflip: Punch version does a shorter backflip that goes farther back. -Air Strike: Punch version retains the invincibility and travels less distance. Kick version travels farther than the default did but drops the distance. Both moves have got their damage nerfed slightly. -EX Air Strike: Gains invincibility. How's this coming along? I'd like to play it, but the website seems to be down. Anyone have an alternate link or mirror they can upload?